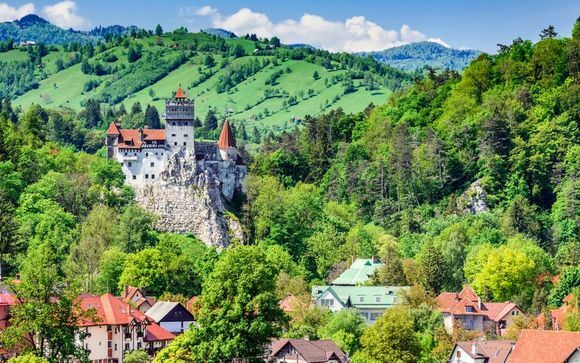 Holidays to Romania up to -70% off To take advantage of these offers, join now for free! 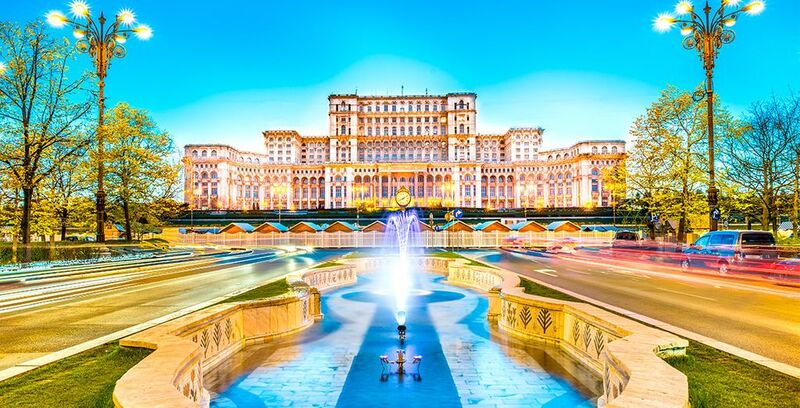 Romania's capital, Bucharest, is quickly becoming one of the most visited destinations in Europe, thanks to an abundance of things for the intrepid traveller to see and do. Bucharest has a unique energy and verve that is unmatched in all of Eastern Europe, offering you a rare mix of an intriguing past and optimistic future. 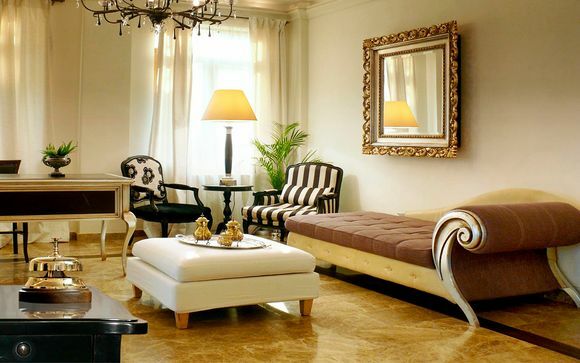 Bucharest is a modern, stylish city with echoes of its fascinating past. 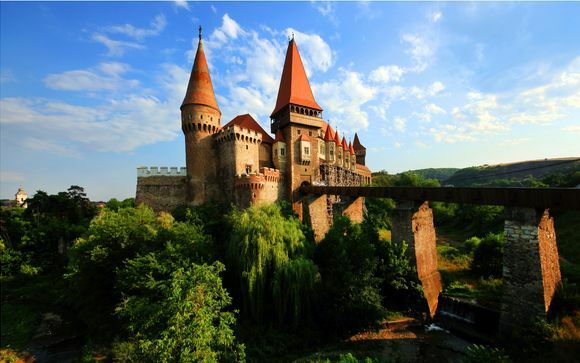 With the Romanian capital sure to surprise you with its energy and cosmopolitan vibe. What does Bucharest looks like? The first thing that will strike you when you visit Bucharest is the way modern edifices sit side by side with some incredible art nouveau constructions, monasteries, ancient churches, elegant boulevards, lush parks and stunning lakes. Certain parts of the city feel like they could have been lifted straight from Paris in the 19th century (which is to be expected from a city dubbed ‘Paris of the Balkans’). While some of the architecture has its roots in the communist era, a large part of this beautiful city is based on the here and now. Discover our holidays to Paris. 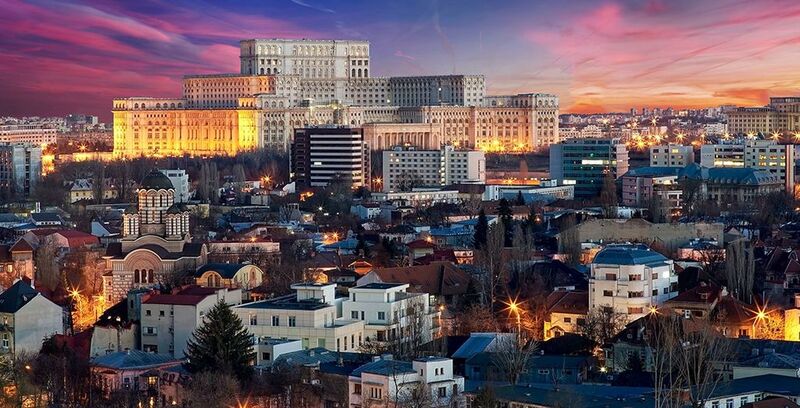 Our last-minute holidays to Bucharest will help you explore the culinary scene, where there is always something for you to get excited about, and the city stands head and shoulders above all other Balkan cities when it comes to the nightlife. Besides this, we offer trips to the old town – known as Lipscani after its main street – which is now Bucharest’s go-to party spot where, on any night, you will find an abundance of bars brimming with excited revellers. The city also has a fast-growing and diverse cultural scene, with its culture exhibited in a number of ways that include nightlife, food, visual art and the performing arts. Unlike the other regions of Romania, such as Transylvania or the Black Sea coast, Bucharest has a much more eclectic mix of cultures, whose style incorporates elements from both Romania and other regions of Europe. Marvel at the architectural wonders of the city of Bucharest. Book our last-minute Bucharest holiday packages to explore the many landmarks that make this city identifiable all over the world. Among the most prominent is the communist-era Palace of the Parliament, which has the distinction of not only being the world’s heaviest building but also the largest office building in the world by floor space. Another popular landmark is the Triumphal Arch (known locally as the Arcul de Triumf). Built in 1935, the arch is a nod to Paris’ Arc de Triomphe. More recently, the Memorial of Rebirth is a marble pillar which was unveiled in 2005 in commemoration of the victims of Romania’s 1989 revolution, which marked the overthrow of the country’s communist regime. 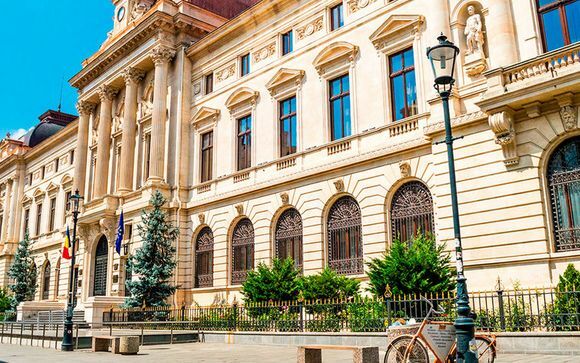 Aside from these and more iconic landmarks, a last-minute trip to Bucharest lets you take in many cultural venues which have become symbolic of the city, including the Romanian Athaeneum. 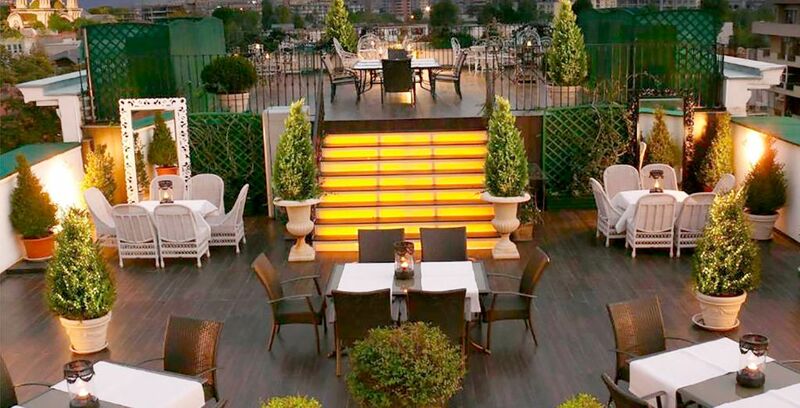 Bucharest boasts a massive collection of restaurants featuring an array of mouthwatering menus. At all times, the residents of Bucharest have always favoured satisfying, healthy and delicious food. The city’s culinary history has been strongly influenced by its past, with each ethnic group that has settled in the region leaving a mark on the traditional cuisine of Bucharest. Among the oldest influences on the cuisine comes from Turkey, during the Ottoman Empire’s attempts to conquer the region. Take a Bucharest holiday and you'll have the opportunity to sample some of the dishes that the city and Romania as a whole are famous for. Popular Turkish-influenced dishes you will find at some of the city’s hotels and roadside eateries include moussaka and halvah, as well as seasoned sauces and rich desserts full of honey and walnuts. Another strong influence on Romanian dishes comes from Western European cuisine, particularly from Italy and France. Always on the lookout for delicious food, the restaurants in Bucharest have enthusiastically adopted the use of seafood, mayonnaise and a range of Mediterranean salads in their cooking. Of all Bucharest's attractions, one of the biggest has to be the breathtaking nightlife. Our last-minute deals to Bucharest include an area within the old town known as Lipscani, where most of the city’s nightlife can be found. Lipscani, which is named after its main street, is a place packed with cafés, restaurants, bars and nightclubs that are full of both locals and visitors every night, particularly during the summer months. Besides the old city, there are many nightclubs and bars that are scattered all over the city. From mega-clubs which feature A-list DJs from around the world to small, intimate venues playing local live music. The best clubbing action in Bucharest does not kick off until late and runs deep into the night since Romania has no licensing hours. When it comes to dining in the best restaurants – especially the more established ones – you'll find they are often full, even during the late hours, so it can pay off to book a table in advance. What is the best time to visit Bucharest? You can visit Bucharest nearly all year round, but be aware that the winters are often quite cold. However, temperatures begin to rise by April, with most people who look for last-minute Bucharest holidays choosing to go in the late spring, as there are smaller crowds and a lot to see. Getting to the city is easy, with Henri Coand? International Airport located just a few miles north of the city centre and features excellent road and rail links to downtown Bucharest. 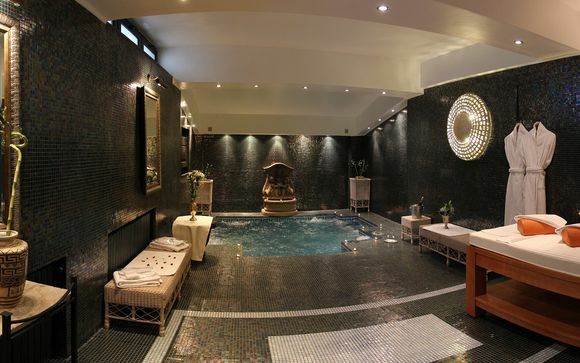 If you're looking to enjoy your own Romanian adventure, whether as a couple's city break or a family holiday, you'll find a range of luxury accommodation at fantastic prices with our exclusive deals and offers on Bucharest holidays. 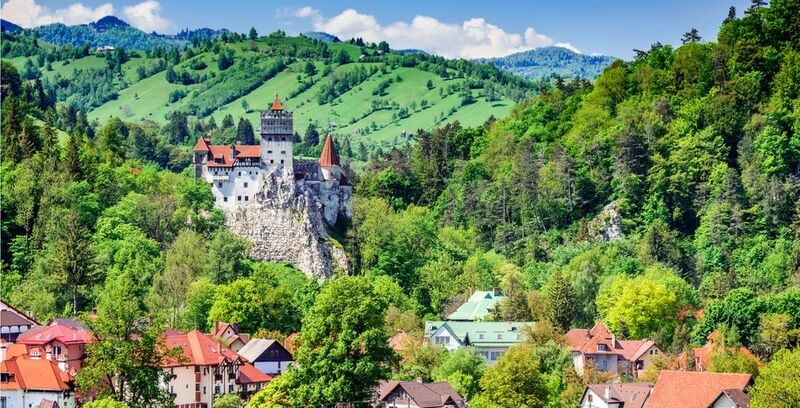 Discover our holidays to Romania plans.